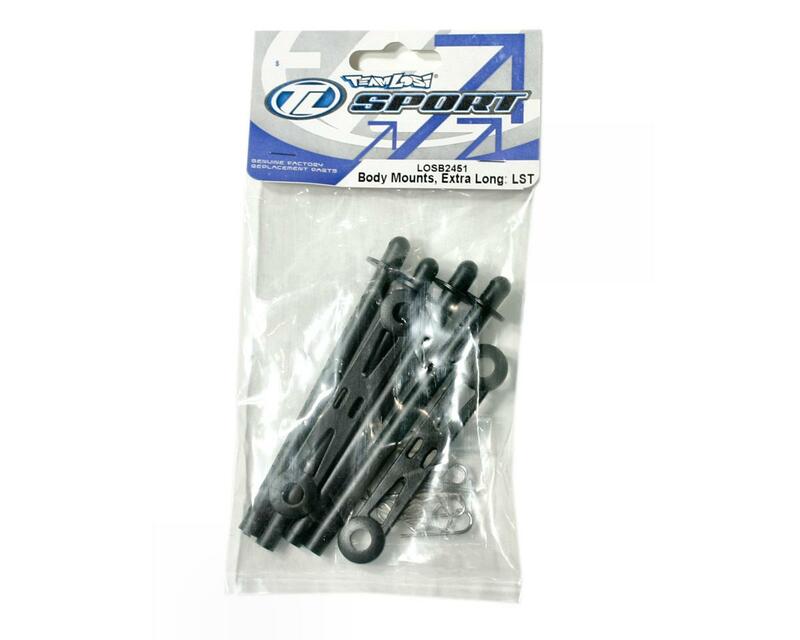 Losi Extra Long Body Mounts (LST, LST2). This is an optional Losi extra long body mounts. These are extra long body mounts for the LST. 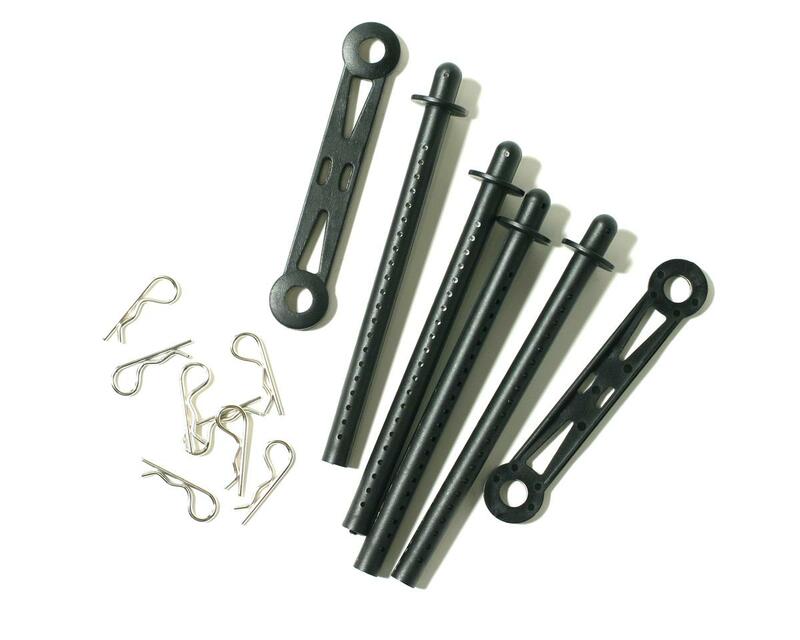 Each pack contains four posts, two support bracets, and eight body clips.